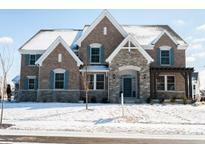 Below you can view all the homes for sale in the Thorpe Creek subdivision located in Fishers Indiana. Listings in Thorpe Creek are updated daily from data we receive from the Indianapolis multiple listing service. To learn more about any of these homes or to receive custom notifications when a new property is listed for sale in Thorpe Creek, give us a call at 317-910-4605. Location Close To Schools, Parks, Restaurants And Entertainment. MLS#21626995. Keller Williams Indy Metro NE. Why build when you can have better then new, w/every upgrade MLS#21624103. Berkshire Hathaway Home. Stunning new Paxton French Manor plan by Fischer Homes in beautiful Thorpe Creek featuring all the quality and craftsmanship you've come to expect from Fischer Homes. MLS#21622288. HMS Real Estate, LLC. 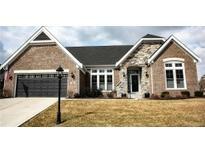 Full finished basement with wet bar and full bath, and 2 bay side load garage. MLS#21617361. HMS Real Estate, LLC. Full finished basement with half bath and a 2 car garage. MLS#21617309. HMS Real Estate, LLC. 3 car side load garage. Community pool! MLS#21579667. RE/MAX Legends Group.